Paris is the epitome of style, an epicentre of elegance - a must-see on every fashion-lover's list. But where to visit, and what to do? With her inimitable fashion eye, internationally acclaimed illustrator Megan Hess takes you on a personal tour of her favourite places to play, shop, sleep and eat in the City of Lights. From people-watching on rue Saint-Honore to cocktails at the Ritz, this is Paris at its most chic. 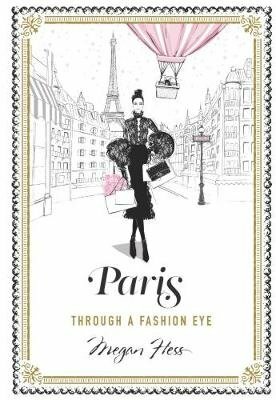 Filled with Megan's stunning, detailed illustrations, Paris: Through A Fashion Eye reveals the city as you've never seen it before.